It’s a time for celebration here at the zoo- and in Ghana, West Africa! This week last year, our partners in the Wechiau Community Hippo Sanctuary (WCHS) in Ghana had just opened a brand new shea butter factory. The Calgary Zoo has an 18-year history with the sanctuary, as a primary supporter since its formation in 1998. 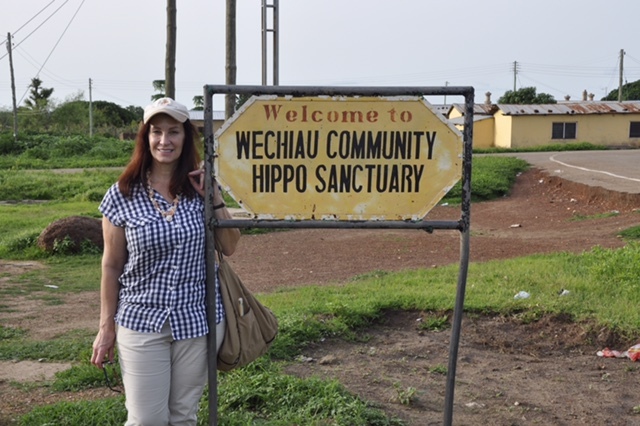 This community-based conservation project was created to help preserve local hippopotamus populations while bringing together principal chiefs and elders of the Wechiau area with partners like the Calgary Zoo to focus on conservation, as well as create new financial opportunities for the surrounding villages. Andrea Brussa travelled to Ghana, to witness the impact that various conservation projects have left on the community of Wechiau. The creation of the sanctuary involved moving whole communities, but through the determination of the local Ghanaian people the land was reserved as a safe reserve for over 500 species of wildlife- including one of the last remaining healthy hippo populations in West Africa. The WCHS also created incredible ecotourism initiatives, bringing a source of income to the local people, and allowing them to open their very own shea butter factory. 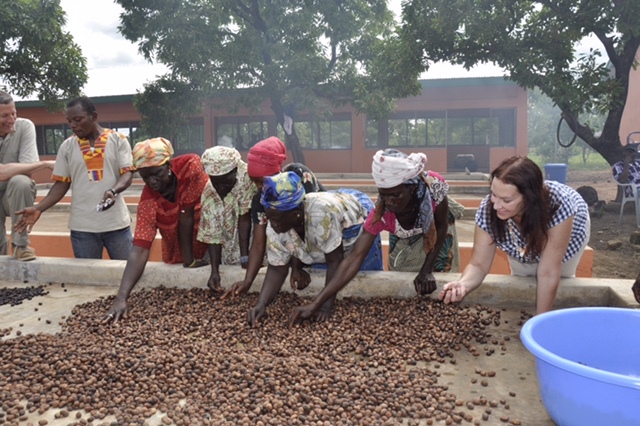 Andrea Brussa is given a demonstration in the sorting and sifting stage of shea butter production, before the nuts leave this area to get roasted, pressed, kneaded and then whipped into butter — a 22-step process, in all. A factory within the Wechiau area was a major development- not only did it create jobs for the local women through the production of shea nuts to oil and butter, but it also eliminated the costs of shipping harvested shea nuts to other villages. This factory brings money back into the local economy, improving the lives of the Ghanaian people- and the lives of the hippos at risk! The success of the WCHS has allowed the surrounding communities to build schools, drill holes for drinking water, and to install solar panels. We are so proud to be a part of this successful community-based conservation project and of the continued hard work of the Wechiau communities. Here’s to more years of continued growth and celebration!